Dan has a great deal of experience in all aspects of musculoskeletal physiotherapy and orthopaedic rehabilitation. His reputation is for top quality, well-thought-out rehabilitation programs based on sound clinical reasoning and thorough examination. Dan has a special interest in hip issues, particularly in youngsters, and has huge experience in the treatment of hip, pelvic and lower back problems. Dan has spent many years working with young sportsmen and women in guiding them through the aches and pains of sport and loading as well as injury. His own sporting endeavours and those of his children ensure he has a rounded view of the impact pain and dysfunction can have. Total knee and hip replacement as well as serious accident rehabilitation is another area Dan has vast experience in. This might be multiple fractures in libs such as elbows or around the back and pelvis. Dan has a very easy way with him that really helps the patient through these difficult times by providing top class care with a sense of humour and empathy. Dan is also trained in Acupuncture and regularly attends training courses to help ensure he can offer the best care to his patients. 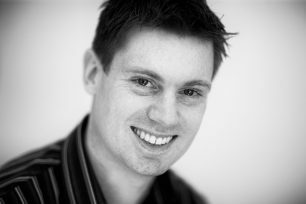 Dan graduated from the University of Southampton in 2001 with BSc Honours Degree in Physiotherapy. From there he spent four years at the Luton and Dunstable Hospital where he developed a specific interest in musculoskeletal physiotherapy. Whilst there he was involved in running the Back Care Programme and Knee Rehabilitation classes. Following his time at the Luton and Dunstable Hospital Dan spent seven years providing in-house physiotherapy to GP surgeries in Milton Keynes and working in private practice. These roles involved assessing and managing a wide range of conditions including sports injuries, fractures, occupational injuries and post-surgical rehabilitation. Dan joined Witty, Pask and Buckingham in 2008 and now works solely in private practice. This decision was made to enable him to give each individual the time and support needed to help achieve their goals. Away from work, Dan enjoys rugby, golf and running having previously completed three marathons, two 100km events and numerous shorter races. Dan lives in Northamptonshire with his wife and three young children.